Local councils in England were paid a total of £36m more than they were entitled to due to an "historic error" by the government. 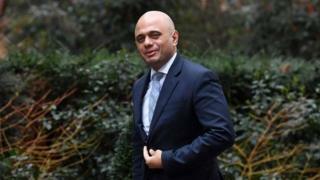 Local government secretary Sajid Javid has said the councils will not have to pay the money back. The error relates to the business rates pilot scheme and impacts 27 councils and the Greater London Authority. Labour's local government spokesman Andrew Gwynne described the incident as an "utter shambles". Reality Check: How are councils spending your money? The overpayment was discovered after civil servants began to work through the necessary calculations to prepare for the extension of the business rates pilots programme, which allows local authorities to keep 100% of locally-collected business rates, in 2018-19. In a written Commons statement, Mr Javid said he had instructed officials not to seek to recover the money in light of the "extraordinary circumstance". The mistake follows an error in the draft local government finance settlement published before Christmas, which led to accusations from Labour that Mr Javid had "misled Parliament". Mr Gwynne called on Mr Javid to explain what checks had been put in place to prevent further errors, adding: "There is little wonder that Tory councils are going bust, when Sajid Javid gets his maths wrong twice." Reality Check: How are English councils spending your taxes?